MUNICH, Germany, Feb 18, 2019 - MSC Software Corporation (MSC) global leader in simulation software and services, look forward to cooperating with MantiumCAE. 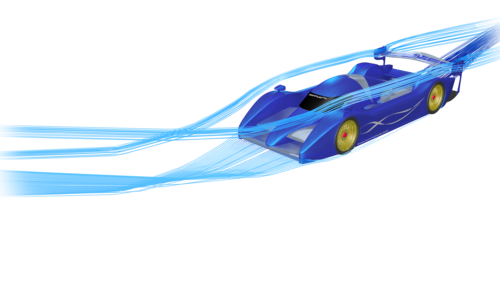 The German engineering service company MantiumCAE specializes in Computational Fluid Dynamics (CFD) and will sell the Software MSC Cradle CFD from now on. This highly productive CFD software, developed in Japan, was integrated into MSC’s portfolio in 2016. The integration enables development engineers to perform co-simulations across all relevant simulation disciplines. MantiumCAE was founded as a CFD engineering service company and focuses on aerodynamics, optimization, and CFD process optimization. The company helps its customers to create products with better aerodynamic properties and also to establish and enhance their CFD capabilities. However, there have been some projects in the past where the existing software reached its limits. This is changing now with MSC Cradle CFD. MSC Cradle CFD users can perform advanced flow analyses, like simulating heat conduction, radiation, boiling, and condensation. The robust tool provides several methods to handle moving meshes, including morphing, IB methods, overset mesh, and moving regions with a sliding interface or contact, to simulate for example the inlet tract of a combustion engine. Coupling with rigid body simulations allows analyzing the interaction of parts or debris with an aircraft. MSC Cradle CFD can also simulate phenomena like hypersonic or highly compressible flow. Very efficient aeroacoustics analyses are enabled by coupling MSC Cradle CFD with the acoustics software Actran.